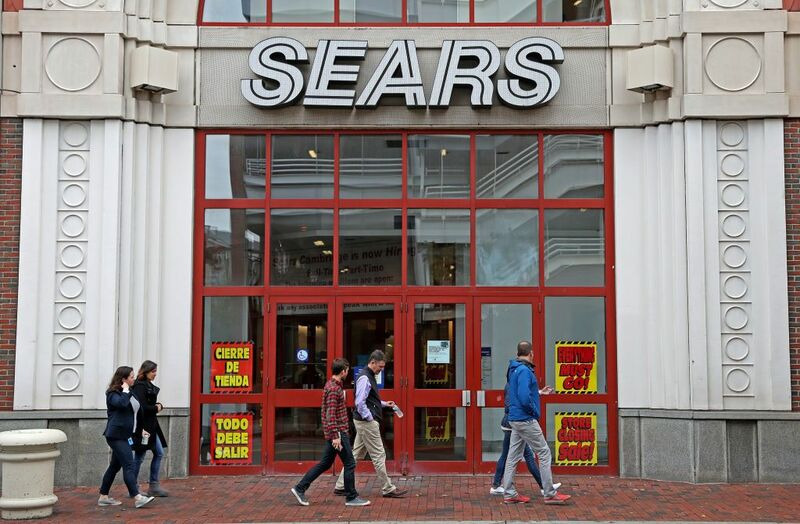 (NEW YORK) — Sears Chairman Eddie Lampert’s hedge fund said it submitted a last-minute bid Friday valued at $4.4 billion to keep the struggling retailer from being liquidated. Transform Holdco LLC, an affiliate of the ESL Investments hedge fund that Lampert heads, said it hoped to keep 425 stores open. The bid includes $1.3 billion in financing from three institutions, ESL said in a statement. The iconic retailer, once the nation’s largest department store chain, faced a deadline of Friday for bids for its remaining stores to avert closing down completely. Earlier on Friday, Sears said it was closing 80 more stores as it teeters on the brink of liquidation. The retailer that began out as a mail order catalog in the 1880s has been in a slow death spiral, hobbled by the Great Recession and then overwhelmed by rivals both down the street and across the internet. The 80 stores are due to close by March. That’s in addition to 182 stores already slated for closure, including 142 by the .. The 80 stores are due to close by March. That’s in addition to 182 stores already slated for closure, including 142 by the end of 2018 and 40 by February. The company filed for Chapter 11 bankruptcy protection in October, saying at the time it would close more than 20 percent of all stores, keeping open only its 500 most profitable locations. Sears Holdings Corp., which also runs Kmart, joins the list of retail brands taken over by hedge funds that collapsed under the weight of debt forced upon them. Under hedge fund manager Eddie Lampert, Sears has bought time by spinning off stores and putting on the block the brands that had grown synonymous with the company, such as Craftsman. The company’s chairman and biggest shareholder, Lampert loaned out his own money and put together deals to keep the company afloat and to turn whatever profit he could for ESL hedge fund. Lampert and ESL have been trying to buy the rest of Sears for up to $4.6 billion in cash and stock.